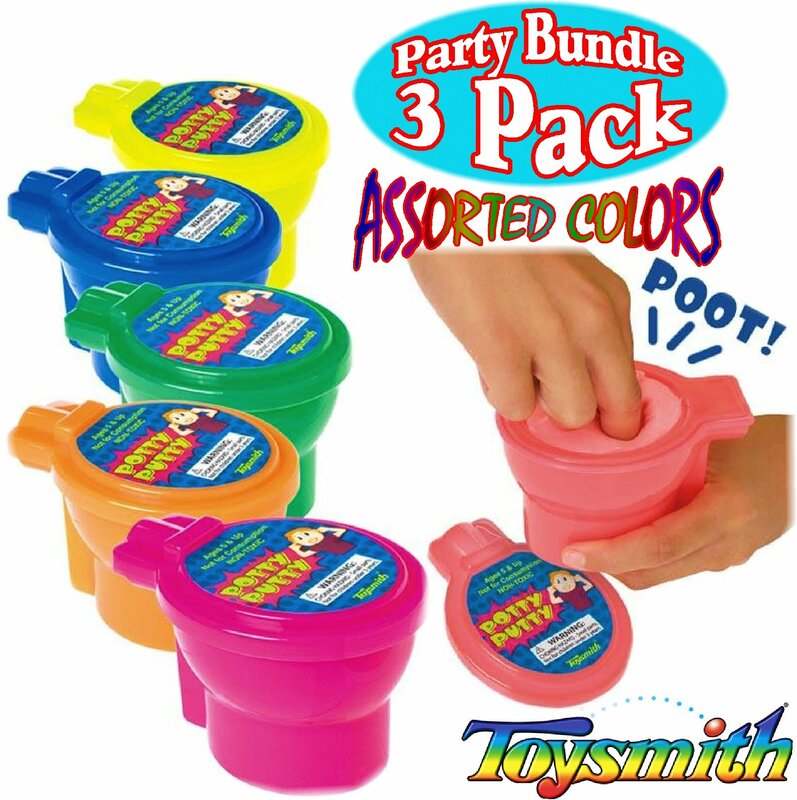 Party Set Bundle Includes 3 Different Assorted Bright Colors of Toysmith Noise Potty Putty Slime Containers! Push this naughty putty back into the potty container (toilet bowl) to create gastronomical noises! For Ages 5 and up - Perfect for the whole family! Toysmith Noise Potty Putty Slime Party Set Bundle - 3 Pack (Assorted Colors),is AWESOME! Push this naughty putty back into the potty container (toiletbowl) to create gastronomical noises! Toilet (container) measures 4" long x 3"wide x 2.5" high. Perfect for travel, party favors, giveaways, schools,organizations, stocking stuffers, special needs, therapy, stress relief & somuch more! For Ages 5 and up - Perfect for the whole family!